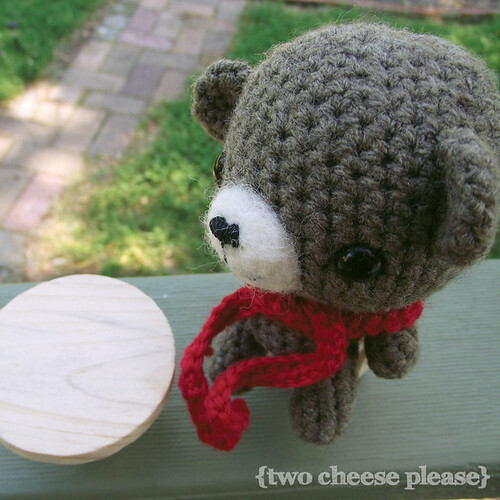 I remember the first time I’d ever seen someone working on Amigurumi and my mind was completely blown by (what seemed to me) the complexity of crocheting in the round like that. It was my mama and she went on to demonstrate the magic circle starting method, at which point my brain started playing elevator music and I was lost. That was when I was just starting to learn crochet and I was still struggling with granny squares! Since then I’ve made tons of granny squares, a couple of scarves, and even a doily rug! 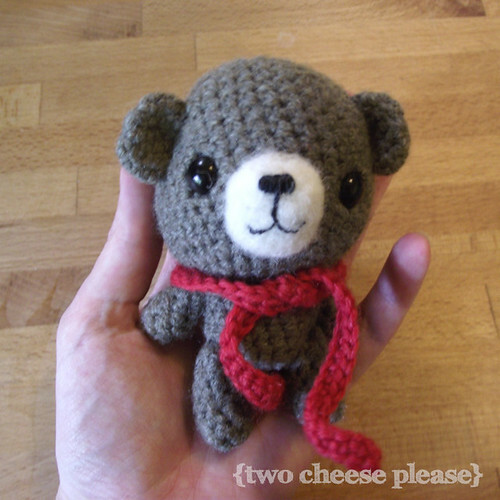 But one of my favourite projects so far was this little teddy that I made for Mr Cheese before we’d moved in together. It was my very first amigurumi – you can tell because it’s actually inside out! 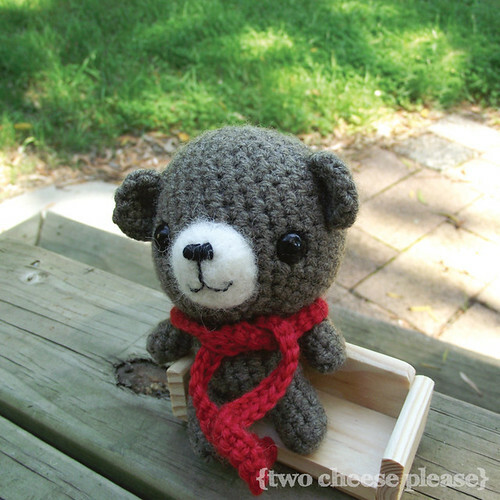 Did you know amigurumi had a right side and a wrong side? I clearly didn’t! I chose to use this side (the ‘wrong’ side) as the outside because I liked the rough texture more. The thing I don’t like so much about amigurumi is the spiral effect you get from crocheting in the round. That’s just part of the craft though, I guess! Since I’ve made Jeremiah, I’ve learnt that it’s really important to turn your ami’s in the right way otherwise you lose a lot of shaping. 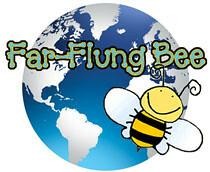 If you’re interested (or just starting in amigurumi) there’s a great article here on PlanetJune. Jeremiah was a great introductory project for me. Not too big, not too complicated, and what a cute result! I followed this great tutorial over at All About Ami, except I used roving to needle felt his nose instead of using store-bought pre-felt. Did you know you can needle felt right onto your amigurumi? It’s true, you can! You could felt on eyes, or paw pads, or even clothes! I love the 3D muzzle look! And it made me miss needle felting. I think when things calm down around here, and I catch up on my massive unfinished projects (ha! that should be “if”, not “when”, I think!) I need to break out the needle again for some more sculpting!